Sometimes you just want a little treat. My taste buds have changed considerably over the past few years as I’ve switched to real food and dessert for me is very different from it used to be. I’m a former sugar hound of the worst variety. I could make a batch of chocolate chip cookies during commercial breaks, down two or three old fashioned donuts in an afternoon and eat three pieces of pie at Thanksgiving. Now sugar just doesn’t do it for me. Like Pavlov’s dogs, my response to looking at dessert is physical. I actually can feel the heartburn I’ll get and it is so not worth it anymore. I’m sure knowing how toxic sugar is helps me stay away from it. If you want to completely ruin sugar and carbs for yourself, start researching the connection between sugar and cancer, high cholesterol, cardiovascular disease and let’s not forget, obesity and diabetes. And no, you can’t exercise away your high carb and sugary food choices. It just doesn’t work that way. -Melt the above over in a pan over medium heat and when melted and mixed thoroughly pour into the bowl with the dry ingredients and stir until blended. 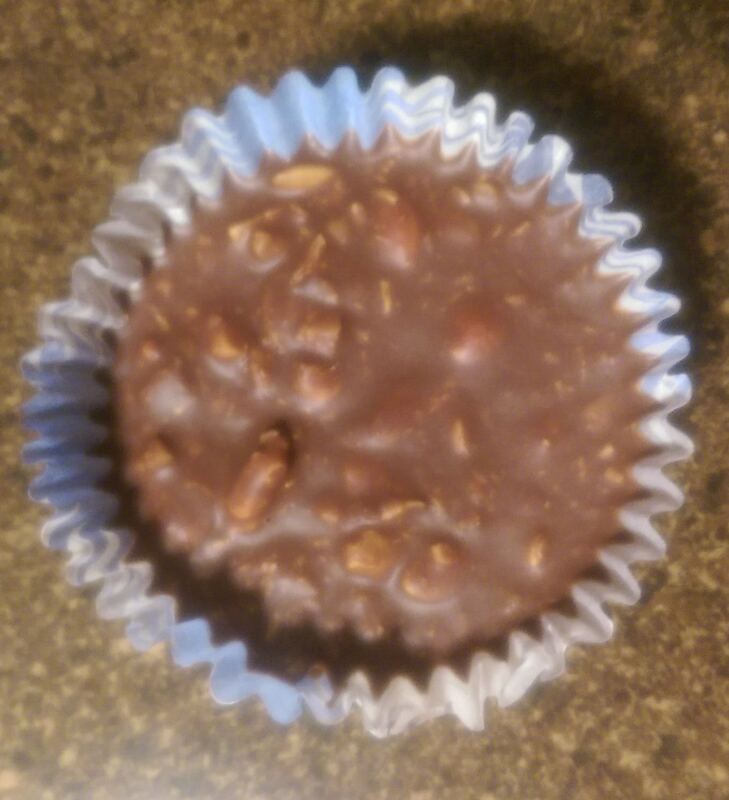 -Scoop mixture into cupcake papers in a muffin pan and put in the fridge or freezer to harden. These make a nice, not too sugary alternative to try. Enjoy!